No one can deny that a clean house is ideal. Everything seems more comfortable when it is tidy. But so often, houses remain in shambles due to four main factors: work, kids, you’re tired, or you’re lazy. This is the number one reason people cannot attend to their home 24/7. For some, work can consume most of the hours in a day. And though lunch breaks are available, most working people don’t live close enough to their work to clean their home—neither would they want to! Cleaning, for most, is not fun! They would much rather go to lunch or run errands than clean their home. Children affect a household in more ways than one. First off, children are messy. They don’t know that their crayon murals are not ideal for your walls or that their food smears are not a nice addition to your furniture. As a parent, you are expected to clean up your little one’s mess. But what if you have other things on your mind—like them! When kids are added to a family, parents are busy caring and loving them. Obviously, a parent would much rather spend time with their child than clean their house. With work or children, or both, life can get hectic. Once off work, and your little ones tucked in, the last thing you want to do is deep clean your home. So, instead you do the things you want to do; like working out, reading, or watching TV. That, or catch up on your much needed sleep. The result, this leads to your house remaining unclean and no improvement to speak of. Either out of laziness or general distaste, sometimes you simply don’t want to clean your home. Your time is limited and you could honestly think of one hundred different things you would rather do than clean your house. You work hard away from home, why should you work just as hard in your home? Cleaning often is a long and difficult process. Besides, if your heart’s not into cleaning, the result will end up being half-done anyway. You should hire someone who knows what they are doing and will ensure a job well done. Because of these factors, your home stays in disarray—to the complete horror of both you and your guests. For some, the response to a dirty house would be that nothing can be done. It will stay dirty, because your lives cannot adjust to clean the mess. However, for the smart few, they invest in a commercial cleaning company. For those who live in the Boston area, the really intelligent, rely on Outstanding Cleaning Services. We are a trustworthy and professional cleaning service that will have your home practically sparkling by the time we are done. We strive to provide only the best service and understand that life can be busy. 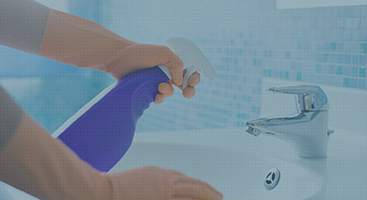 See the cleaning services we offer and determine how we can help you keep your home clean! Contact us today!